Housed in the Duke School of Medicine’s Department of Community and Family Medicine, the Doctor of Physical Therapy (DPT) program is consistently ranked among the best training programs in the nation. Each year, nearly 200 students work with faculty who are actively engaged in exploring clinically relevant research. Students learn from faculty who are working in both basic science research and clinical studies within each of the major movement sciences. 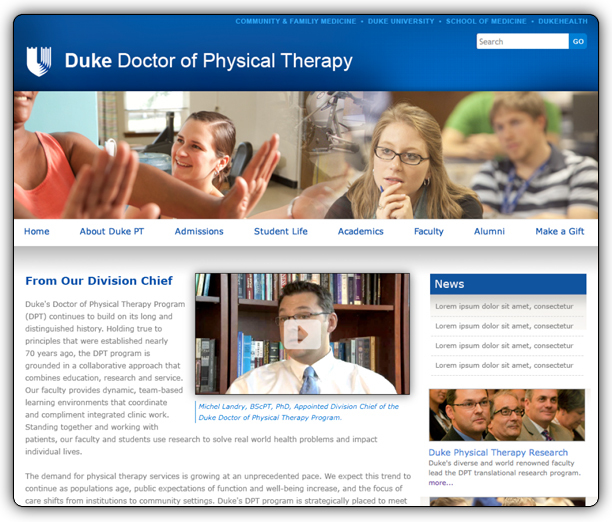 The redesign of the Duke Division of Physical Therapy website was an excellent opportunity for the organization to solidify its position as a leader in physician therapy education. 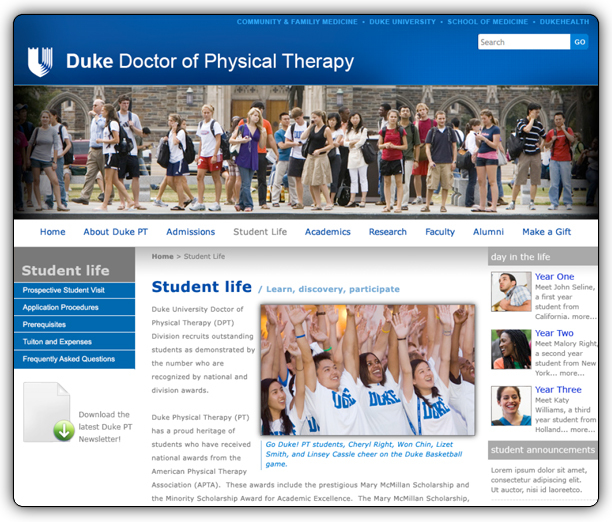 By successfully developing and implementing a focused online branding strategy, Duke’s PT program provides its prospective students, current students, alumni, and financial supporters with a level of information, insight and value unmatched by other PT programs.